I must say, it was really fun dressing up the current cast in costume. 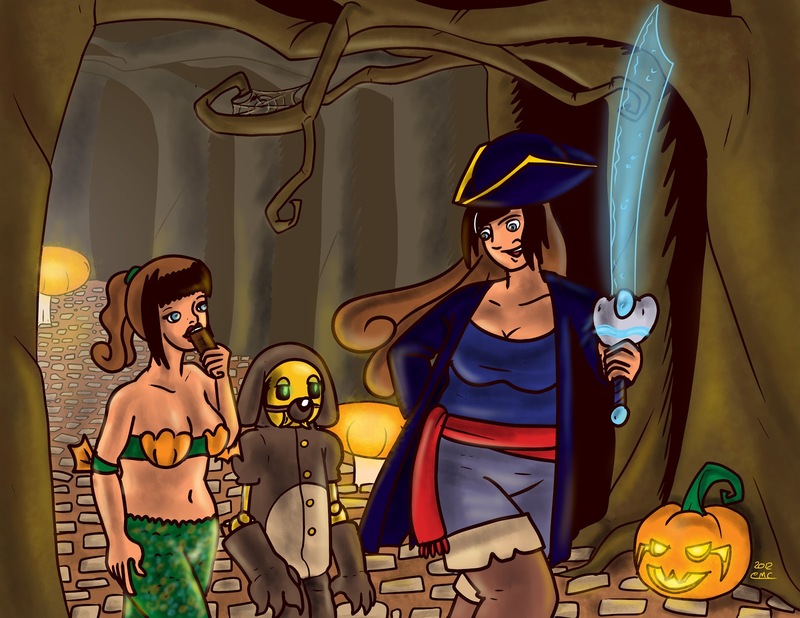 Raina is dressed up as a pirate, complete with AquaCutlass, her sister Fiume's in a mermaid costume, and Bill is dressed up as a dog. So, aside from making fun Halloween pictures, I will be launching lots of fireworks with my folks and my friends (In a safe, legal way, of course). How do you plan on celebrating Halloween? PS. I will remind you once more that there won't be a comic this weekend on account of a ridiculous amount of stuff going on. However, if you're living in the Vancouver area, you can actually watch me draw comics at Anime Evolution: Akimatsuri. Be there!